This is an original painting by Gwladys Burton. It is undated but, as it was grouped with similar paintings dated between 1952 and 1954, I think that it is safe to go for the mean average and call it circa 1953. 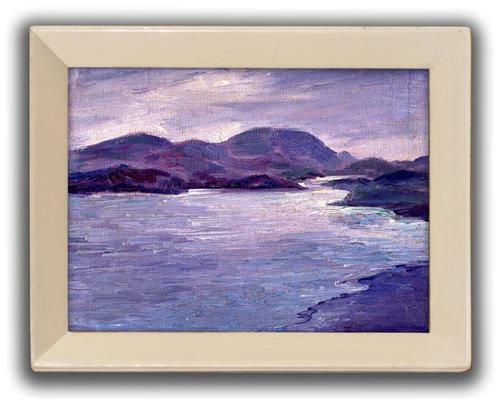 'Highland Loch' is my title. Individual works by Gwladys have sold for well over £300.